Superwater.com offers 100% FREE FedEx and UPS Ground Shipping on every Pentair Everpure # EV9259-14 QL3 Cap Head Order. NEW: **Now as an option & only if needed, for an additional $30.00, your order will include a complete Superwater.com "Accessories-Pack" for an easier installation, which includes,( 1.) EXTRA Fittings in 3/8, and 1/4in sizes, (2.) 8-12ft of Polyetheline Tubing,(3.) A Connection Kit & Saddle Valve. 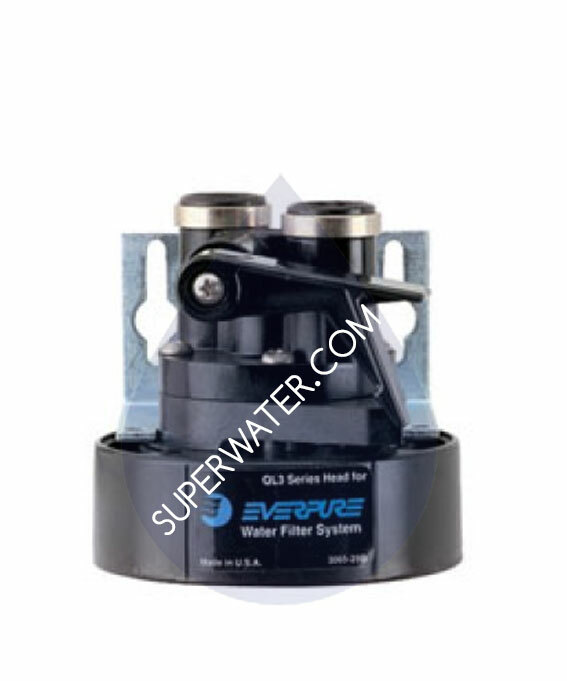 Commercial quality single filter head exclusively for Everpure filter cartridges. 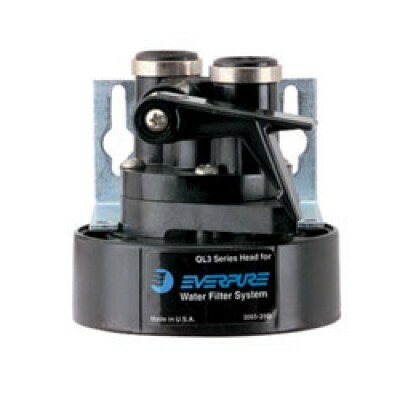 The QL3 Head replaces the older model QC4 # EV9313-46 Single Head with Locking Bracket. Built-in water shut-off valve. Includes mounting bracket and screws.